There's that one person in every family who loves to play a good joke on others! Give a good scare at Halloween or anytime with our Amish Surprise Mouse Box! 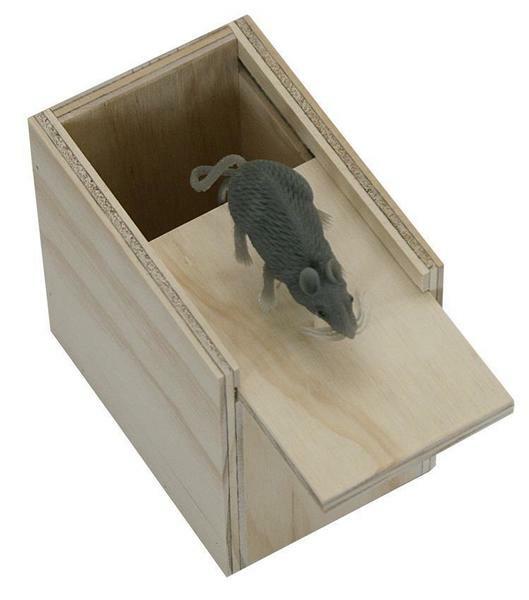 Our wonderfully handmade, authentically Amish made Amish Surprise Mouse Box is perfect for those who enjoy playing practical jokes, pranks and tricks. This wooden toy is proudly made in the U.S.A. We also offer the Surprise Spider Scare Box if you think spiders are more scary then mice.